Many webmasters and developers would want to find a safe house where they could host their code files and set them for downloads. Well Google Codes comes in to rescue with a hosting service for their developers were we could upload our codes in wide variety of formats and set them to be download by our readers. Or those code links could directly be used in our widgets/applications where there is a need to call a certain CSS file or jQuery code. Take an example of the code below. In case we wish to edit this file to customize the widget, we need to download this code by placing the link in our browser and then copying the code in a text file on our desktop. We could then update the code as we want. The next task would be to upload the code from some where we could get a link of the file. Thats exactly what Google Codes offers us to do. Not only we could get the download link back, we could also get to know the number of times the link was called/Downloaded by the user. So you could keep track of the popularity of the widget that you shared on your website/blog. 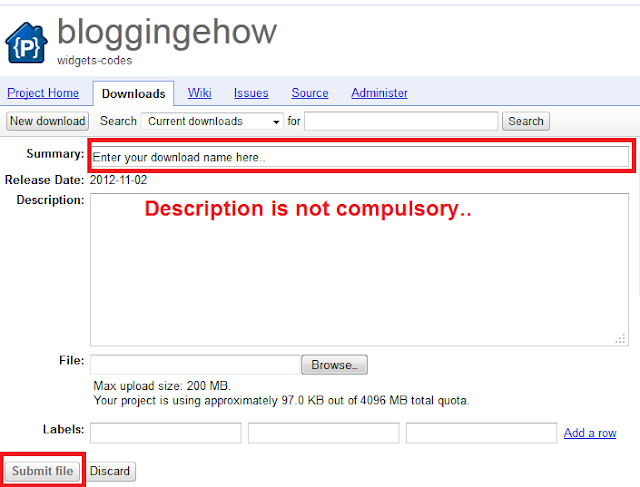 How to create a downloadable file in Google Codes? Go to code.google.com >> Create a new project >> Downloads tab >> New Download. The image below would make that navigation clear. Once you're in the downloads section, notice the 'New Download' button at the top-left. Navigate into that and you'll find a page as shown below. Once you hit 'submit file', your download will be created. Follow the next heading to see how you can track your downloads via Google Codes. 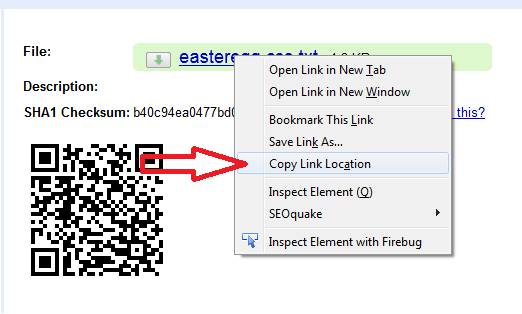 Get download link of file in Google Codes? Once you're download is created you'll be taken to a page where all of your downloads are showcased (All the files that you made available for downloads). Click that specific download that you just made as shown in the picture below. Now once you're on the page for that specific download, right-click on the file link and click 'Copy Link Location' in Firefox, and 'Copy-link-Address' in Google Chrome. Something similar in Internet Explorer too. I am sure you wont be using Internet Explorer though. Thats how exactly you get the download link for the download file you just created. 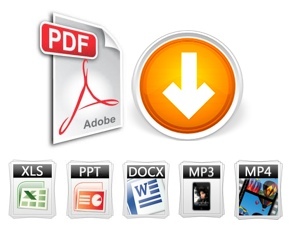 Downloads are simply showcased on the page where all of your downloadable files are listed. Notice on the right side of every download file. Hope that was helpful for you guys. In case of any questions, leave them out below and ill try to get back as soon as possible. How many downloads have you created with Google Codes so far?